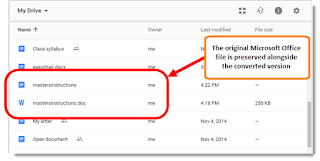 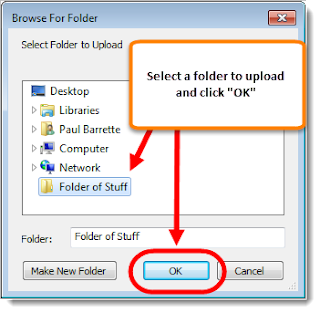 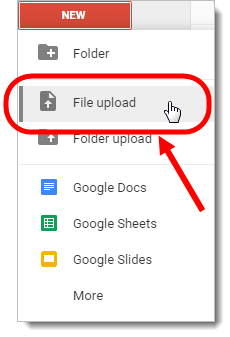 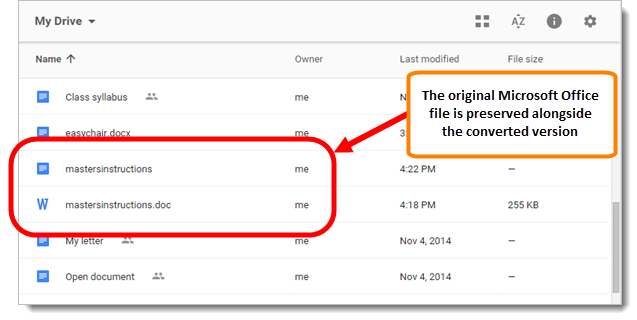 In a previous tip ("Upload Files to Google Drive"), you saw that you can upload any file you may have into your Google Drive and use Drive like a gigantic thumb drive in the cloud. If you have files in Microsoft Office format (Word, Excel, PowerPoint), you can convert those files to Google Docs, Sheets, and Slides format so that you can take advantage of the sharing and collaboration features. Also, by converting files to Google Docs, Sheets, and Slides format, you can also use the additional features available within Google Classroom, such as "Make a copy for each student." 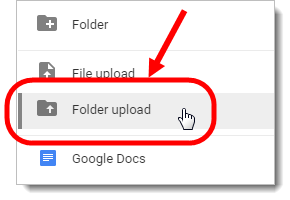 Once logged into Google Drive, click on the "Gear icon" and then click "Settings"
Select "Convert uploaded files to Google Docs editor format" and then click "Done"
Click "New" and click "File upload"
Select a file to upload and click "Open"
You can also upload and convert entire folders of files at once, instead of doing it one at a time. Google Drive will automatically create a new folder and upload all of the converted files into that new folder. 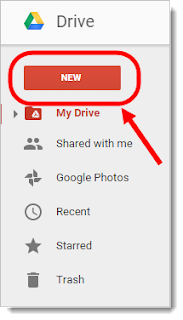 In order to do so, you MUST be using Google Chrome to login to your Google Drive (PC or Mac). Using Internet Explorer, Firefox or Safari will NOT work. 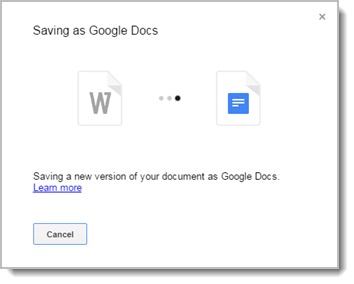 Select the folder to convert and click "OK"
Lastly, if you have already uploaded some Microsoft Word, Excel, or PowerPoint files to your Google Drive and you DIDN'T convert them, you can convert them one by one, although the process is more time consuming. 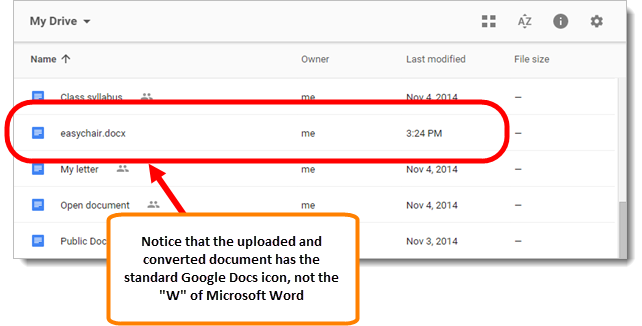 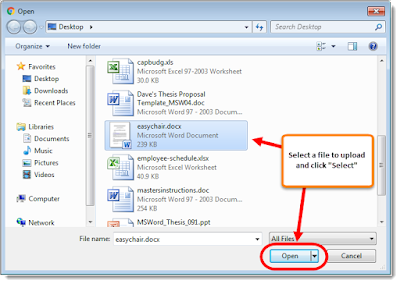 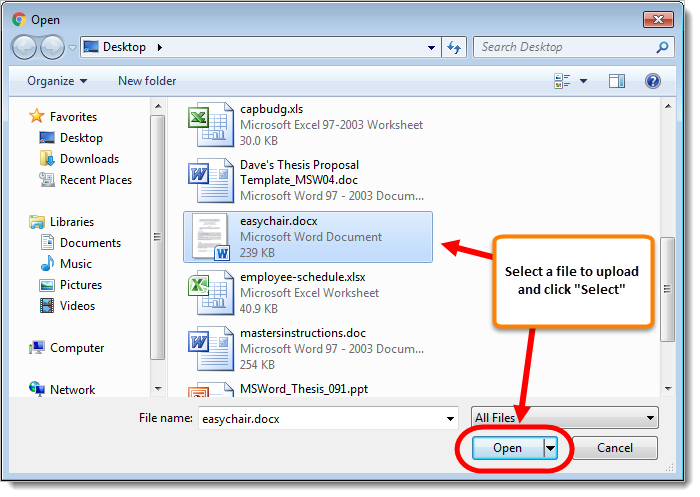 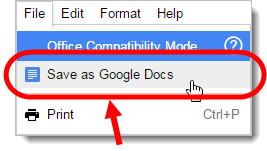 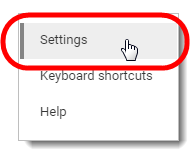 Click on the File menu and select "Save as Google Docs"